Panasonic shavers are among the best facial hair care products you can buy. These shavers are renowned for their technological innovation and thoroughness when it comes to acquiring a clean shave. Many Panasonic models have similar attributes and features, so it can be tricky determining which is the best among them. Let us help with that. In this guide, you’ll find a collection of all of the research necessary to determine the best Panasonic shavers for men amongst all the others. We’ll go into great detail for each of our favorite picks and explain why they’re worth your time. Versatile and good for traveling. Dual motors, high-quality and sharp. Before we dig into the details of each Panasonic shaver, there are a few key things to look for in any good shaver that can help you recognize great products from mediocre ones. Waterproof: A lot of the best shavers will be waterproof. This will allow them to be used in the shower and to be washed more easily. Waterproof shavers also represent less of a headache when cleaning because you don’t have to worry about damaging the internal electronics from the water from a faucet. Battery Life: Good shavers will also have good battery life so that they can last for many shaving sessions in succession without needing to be charged. It’s good practice to keep your shaver plugged in when not in use, but good battery life will allow you to take your shaver for traveling and still use it even if you forgot the charger. Handle/Head: Ergonomic handles are a must, especially if you’re going to use it in the slippery environment of the shower. Pivoting heads are another good thing to look for since a pivoting head will allow the shaver to follow the contours of your face and handle the corners of your jaw while maintaining an even cut all around. Some pivoting heads are more flexible than others, but general pivoting is good enough for most people. Blade Number/Type: The higher the number, the sharper the shave and the faster you can achieve a truly clean shave. Three blades are the minimum we recommend for an electric shaver, although four or five are definitely better. Most good blades will be made from stainless steel or some other long-lasting metal, and they’ll be sharp. Sharpness is another key quality because it directly correlates to how close your shave is on the first pass. Pop-Up Trimmer: Finally, one great extra to look for is a pop-up trimmer that can extend from the main body of the shaver. These trimmers are basically miniature shavers with smaller blades that can target places like your sideburns or the corners of your jaw, which are traditionally tricky areas to shave accurate. A pop-up trimmer can also be of assistance for contour your beard or shaping it to your exact preferences. Let’s dive into a quick overview of each model’s basic attributes. The Panasonic Electric Shaver ES8103S is a relatively affordable precision shaver model that comes with three ultra-sharp sharp blades which utilize the flexible pivoting head of the shaver to cut cleanly and smoothly no matter where you drag across your face. 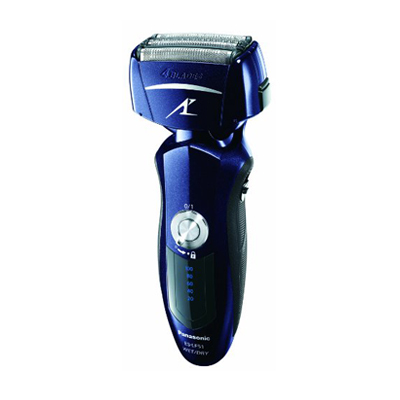 The motor of the shaver is equipped with a linear drive back and cut up to 13,000 times per minute. This motor is consistent enough that it retains its overall power even towards the end of its battery. It’s battery life is pretty decent as well. For about one hour of charging you 45 minutes of shave time. There’s an LCD battery indicator that can let you know exactly how much battery you have left before needs to be recharged. The motor is additionally equipped with the sonic vibrations that can let you remove stubble much more easily. The shaver can be used in either wet or dry environments and is a 2-in-2 model because it comes equipped with a pop-up trimmer that can be used to contour your beard or touch up places that require a little more precision, such as the corner of your jaw or your sideburns. It’s very easy to grip; it has an ergonomic handle and isn’t too loud while it’s running, to boot. Ultimately, it’s a versatile, effective shaver that doesn’t have as many blades as some of the later Panasonic models but still manages to do a great job with only three. For some folks, the lower price will be a fair trade-off for having only three blades instead of four or five. 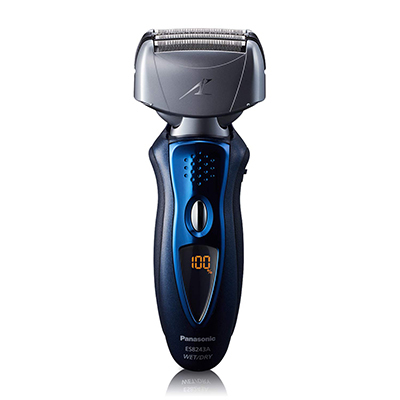 The Panasonic Electric Shaver ES-LV95-S Arc5 is another 2-in-1 shaver that brings the same versatility that we saw previously to a more modern, advanced Panasonic model. It has five blades instead of three, and these are each ultra-sharp and assisted by an ultrathin ARC foil. Combined, these aspects make sure that any shave is extremely smooth and cuts close to the hair root to ensure that you won’t have stubble too quickly. The pop-up trimmer here is much the same as the Arc3. It can be used to contour your beard or attack small areas that require more precision than the broad head can offer. The head is pivoting in multiple different directions, providing even more flexibility than the Arc3. The motor is more powerful, too. It can cut at 14,000 per minute. The trade-off for this extra power is that the battery lasts for around five minutes less, but since you should be charging it whenever it’s not in use, this should be a big issue for most people. Speaking of charging, the purchase comes with a clean and charge station that can help maintain the device at peak efficiency. The station in the shaver both look sleek and can fit in a variety of bathroom aesthetics. This shaver is a bit pricey, but the quality of shave and the clean and charge station help to boost its value beyond that of many of its peers. If you’re after absolute quality, this is one of the best picks you can make. 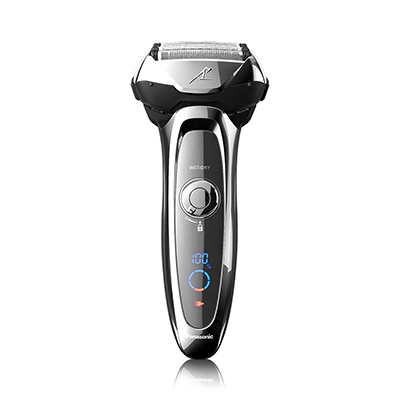 Now let’s take a look at the Panasonic Shaver ES8243A ARC4. It’s another 2-in-1 model that has the same pop-up trimmer that we previously saw in which adds a lot of versatility to any shaver. The pivoting head is back once again and this shaver has four blades instead of three. It’s also assisted with an ARC foil to help maintain a super smooth shave and follow the contours of your jaw structure. The blades are made from stainless steel, which is great if you have skin that tends to be allergic to certain metallic compounds like nickel. Stainless steel is hypoallergenic and long-lasting, thanks to it’s parent ability to resist most corrosive effects. This is especially handy if you plan to use it in wet environments frequently. What separates the shaver from many competitors is its beard density sensor. This sensor can detect quick changes in the overall density of your beard and modify it’s motor speed and cutting amount to match what is appropriate for that section of your face. This extends the battery life span and helps ensure that you don’t get razor burn. The shaver is also waterproof and has an excellent ergonomic handle that makes using in the shower an absolute breeze. Your battery life is around the same of most Panasonic models in the battery indicator is shown at the bottom of the shaver via an LCD screen. This is a more traveler-friendly version of the previous Arc5 that we looked at. 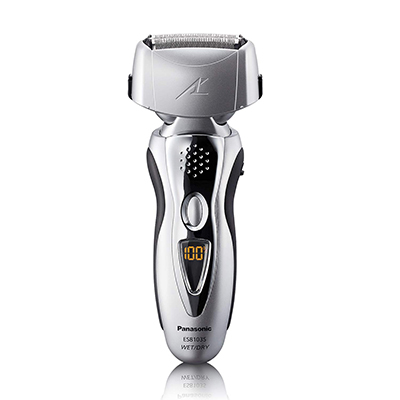 While the Panasonic Arc5 Electric Razor ES-LV65-S has many of the same features as it’s very close cousin, such as a pivoting head, ARC foils, and a pop-up trimmer for targeting precision areas that are too small for the main blades, this one comes with a convenient travel pouch instead of a clean and charge station. This is also reflected in the lower price asked for this shaver. This shaver also has a beard density sensor that we saw in the Arc4 model. Once again, this will let the shaver both last longer, and deliver a more even trimming experience all across your beard even if it’s densities vary by location. This is less important if you’re going for a full shave, but if you’re trying to maintain a beard of some optimal length it’s a great feature to have. Another great LCD screen is included to demonstrate battery life, which is on par with the rest of the Panasonic models. The handle is ergonomic and well shaped for use in wet environments such as the shower. We also really like that the button and handle are a little less busy than some other Panasonic shavers. Sometimes simplicity is the best. Here we have another 3-blade shaver that nonetheless delivers a very close and satisfying shaving experience. The Panasonic ES-LT41-K Arc3 utilizes sonic vibrations in tandem with its nanotech blades to cut through hair of any length or coarseness. Sonic vibrations are a great feature to have implemented with any shaver because the general effect is a close shave without as much of a risk of razor burn. Sonic vibrations shavers also tend to be a little quieter than other models which have traditional motors. 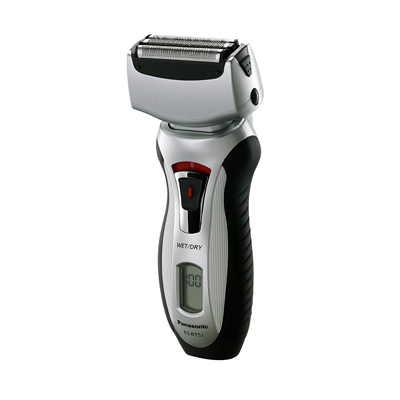 If this shaver had some more blades to truly take advantage of the vibrations, you would get higher marks but would also probably be more expensive. As it stands, three blades are enough to get the job done and keep the price reasonable. There’s also a pop-up trimmer, like with all of the best Panasonic shavers, and it can be used in wet or dry environments. The handle surfaces padded easy gripping and there’s a convenient LCD screen to show you the battery life remaining before you need to charge again. A travel pouch is included with your purchase to sweeten the deal. 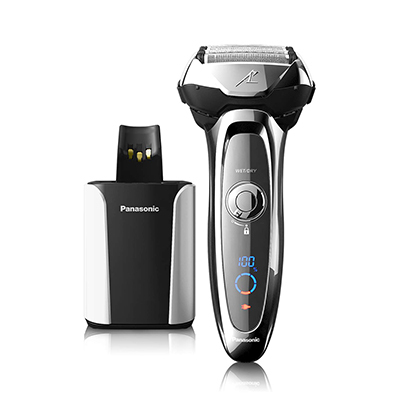 The Panasonic Razor ES-LF51-A is another great 2-in-1 model that supports the same pop-up trimmer that’s ubiquitous amongst the best Panasonic shavers. This shaver makes use of stainless steel nanotech blades and stainless steel ARC foils to deliver an extremely close shave that will remain smooth longer than many other shavers. The stainless steel aspect helps improve its overall lifespan and makes it so that you have to get replacement blades less frequently. Remember, stainless steel corrodes more slowly than blades made with another material. The shaver has a five-stage LED screen to indicate battery life, but it’s rather busy and takes up a lot of space on the handle, which is otherwise ergonomic. It’s a poor aesthetic design choice that nonetheless is a really minor flaw amidst the shavers other positive aspects. It has a great pivoting head and is waterproof, of course, and isn’t too loud either. The motor makes use of for ultra sharp blades that can cut 14,000 times per minute and it maintains its power all the way to the end of the battery even if you’re running low. It also has a sonic vibrations cleaning mode that’s perfect for shaving away stubble that has yet to grow into the length of a full beard. For this reason, it’s a great pick if you tend to be clean-shaven most of the time and want to be as smooth as possible. The Panasonic ES-LA63-S Arc4 is another premium offering that focuses on utmost quality for a more hefty price tag. The shaver makes use of the same great innovations we’ve seen from the other models, such as a pivoting head and 2-in-1 functionality with a pop-up trimmer for targeting hard-to-reach areas or sideburns. The blades are made of hypoallergenic stainless steel for anyone with a skin allergy. Most importantly, however, is the fact that this shaver makes use of two motors instead of just one. The first motor handles most of the standard shaving and can make the blades cut up to 14,000 times per minute. The second motor handles vibrating the shaver head down to help lift and hold your beard hair in the correct, extended position that’s necessary for the smoothest kinds of shaves. This dual motor functionality does make it a little louder than some of it’s peers, but it’s a great pick if you have a thicker beard and really want to make sure that you clean shave is going to be as smooth as possible. The battery life is pretty standard when compared to other Panasonic shavers, but the LCD screen, in addition to showing battery life, as an additional feature where it will remind you that you need to replace the shaver blades when enough time has passed. This can be very handy for anyone who tends to forget these kinds of small maintenance matters. 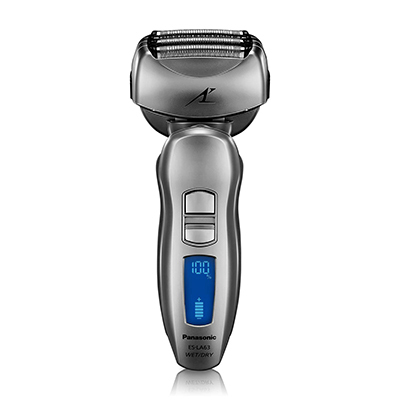 If you’re in the market for a more affordable, but still quality Panasonic shaver, consider the Panasonic ES-RT51-S Arc3. This shaver uses three nanotech blades and the same pivoting head that all great Panasonic shavers implement. It takes a lot of the same excellent qualities and features but packages them in a lower power chassis to provide a great budget pick. This isn’t a 2-in-1 like the others, but it is totally waterproof and has an ergonomic handle that’s easy a great no matter the environment. It has a simplistic LCD screen to show you the battery life, although it’s definitely not as flashy as its pricier cousins. 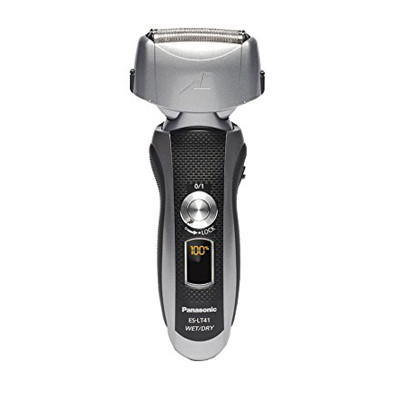 The motor is a little louder, too, but that doesn’t diminish the fact that this shaver provides a great clean shave for a reasonable price along with many of the same Panasonic advancements you can find with its more expensive models. Now that you’ve got your new Panasonic shaver, let us help you out and make sure you’re prepared to get the best shave possible. These tips and tricks will help you get it right the first time. Wet/Heat Your Beard/Face: Before you begin shaving, it’s a good idea to either take a shower or use a hot washcloth on your face. 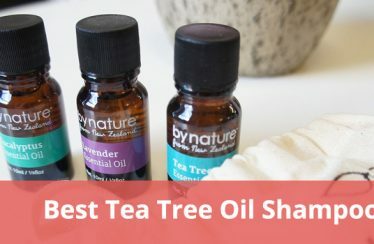 This opens up the pores of your face and allows your hair to be cut closer to its root. By doing this, you’re basically extending the amount of time that you have before you need to shave again. This is why shaving in the shower is so universally recommended. 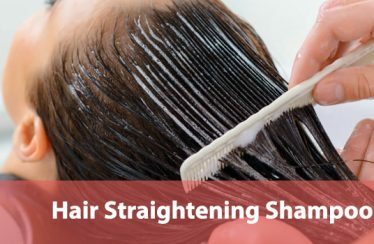 Shave Against Your Hair: When you do shave, make sure that you drive the shaver against the natural direction that your facial hair wants to lean in. This will help your facial hair be at its maximum length when it is cut, serving a similar function as opening up your pores. The ultimate goal is to maximize the depth of the shave without hurting your skin. Use Cream: While we’re on that subject, use shaving cream every time if possible. Even though you’re using a high-quality shaver, shaving cream can still assist both the shavers efforts and protect your skin from getting razor burn. Keep Shaver Plugged In: Finally, whenever your shaver is not in use it should be plugged in or in its charging stand. If you do this correctly, it won’t actually matter what the battery life is, since every time you reach for it, it should be at its maximum possible power. Battery life means more if you’re going to travel with your shaver and may not be able to charge it every time, but if you’re just keeping the shaver at home it should be plugged in whenever possible. With this guide, you should have everything you need to find excellent Panasonic shaver and start towards the best shave of your life. The shavers are among the best in the market and very much represent some of the highest bars of quality. We have no doubt that you’ll be satisfied with how close your shave is and how well kept your beard can be.